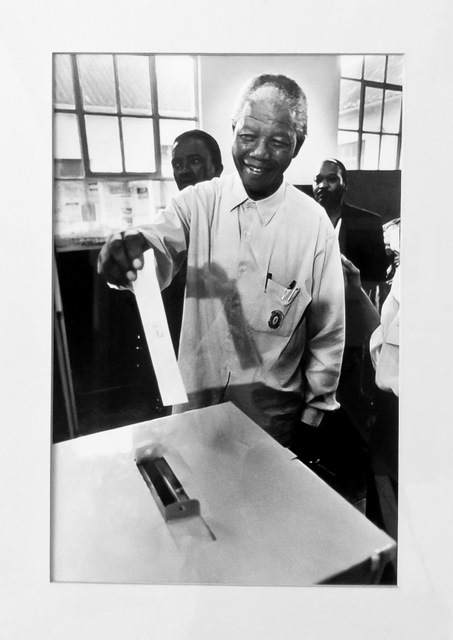 I couldn’t think at a journey through South Africa and a stop in Johannesburg without visiting Soweto, the largest township home of huge contrasts and the place where the battle for freedom against the Apartheid began. We Wont Move. Protesting against the forced leaving of their homes. Today the area around Vilakazi Street, where Nelson Mandela lived from the late 1950s to the early 1960s before being imprisoned on Robben Island, is colorful and full of friendly people welcoming the visitors with a smile. But the memory of the dark years of oppression and of the students uprisings is visible in monuments, street art and Museums to celebrate freedom and the long expected achievement of equal human rights by black people, maybe also the hope that memory will prevent injustice and violence in the future. It all began with a language issue, when in the 1970s the government attempted to enforce Afrikaans as the official language for instruction in South African schools. Despite Afrikaans was largely spoken by white people and the so-called ‘colored’ (Malay, Indians and other immigrants mostly from South-Eastern Asia) once the segregation institutionalized Afrikaans became strongly linked and identified with the Apartheid, hence the fierce opposition which culminated in the 1976 Soweto students uprisings, and the killing of the young Hector Pieterson on June 16 during a protest march. 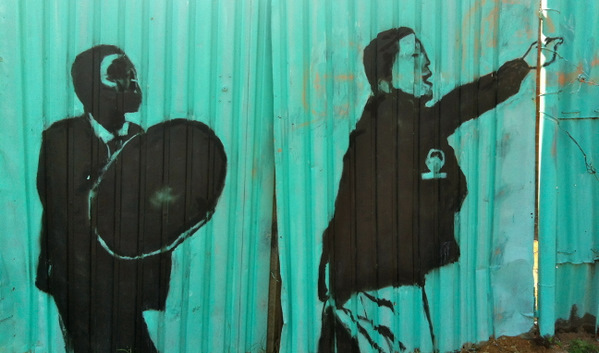 The photography showing bleeding Hector Pieterson carried by a friend and flanked by a girl – Hector’s sister – crying in horror, became an icon of the students protests which would lead to the end of the Apartheid. The Hector Pieterson Memorial and Museum collects a wide number of photos of the period as well as interesting audiovisual materials telling the story of years of oppression and violence. The Regina Mundi Church does not hold a great aesthetic appeal but it is as interesting spot since it is the place where local people used to gather in the years of the revolt. A little exhibition on the first floor shows several photos of that dark and painful period: two young boys hiding from the police, probably because they don’t carry their pass, a writing on a wall – ‘We wont move’ – to protest against the forced removals from their houses to the townships. And then the monuments in what was once called Freedom Square (now Walter Sisulu Square of Dedication), celebrating freedom and equality, and a little farther a sculpture recalling the students uprisings, with their hand raised in a gesture that seems both full of hope and desperation. To visit Soweto there are many tours, including one by bike. I was lucky enough to explore the township on my own, with my friend Clare who lives in Johannesburg. Together, we took the bus, moving like locals. Finding the right way between the different routes and ticket options was a bit tricky, but thanks to Clare and the always kind people at the bus stops we had great fun and a lovely experience. 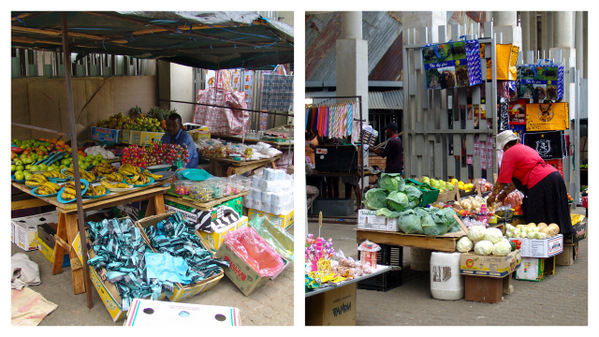 Soweto is surely much more than what can be caught during a short visit. Still, it is a must-see. Shouldn’t we remember the dark moments of the past to try and avoid them to be repeated in the future? nowdays the dark moments of the past try to be repeted like we could read just few days ago in the newspapers. The way to a peacefull life in South africa seems to be not so close. Great blog. 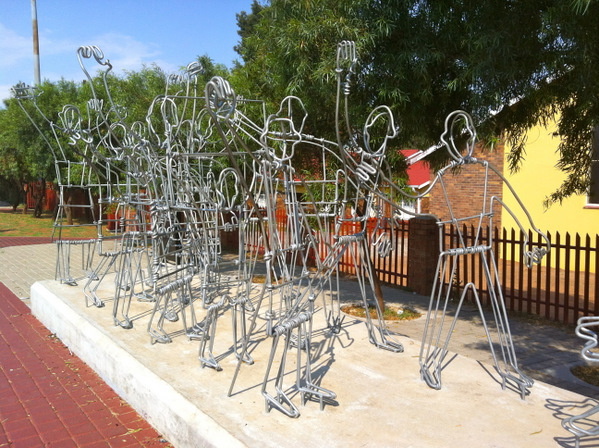 I love the “Monument to Soweto Students Uprisings” photo. I really look up to the persons who did this kind of monument. Thanks for sharing. We should definitely take the time to learn and immerse ourselves in a countries history. It helps to give you an understanding of the country that you might not have if you never learn the history. I wish that we had learnt more about the Apartheid during my time at school, I don’t even think it came up once in my 6 years at secondary school! What a poignant post, Simon. I’m very happy to share it. Wow! This is truly amazing! 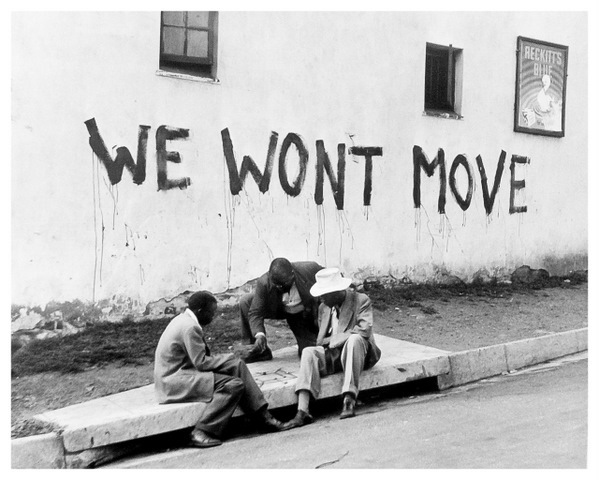 I love the “Monument to Soweto Students Uprisings” photo. I really look up to the persons who did this kind of monument. Very Unique and new to my eyes!